Is this the only non-British coupe which can stack against the royalty and the nobility of cars coming from Great Britain? Let’s think for a moment about the Bentley GT and the Aston Martin DBS! These two are the world’s most ostentatious and luxurious grand touring coupes since ever. Granted, we have a Rolls-Royce in this ballpark as well, but let us leave that one out of the equation. It is a Rolls-Royce after all. So, how come Mercedes-Benz, a mass-production guru, managed to build a car which can be compared with the royalty? Do not ever forget that Mercedes-Benz, behind its three-point star, sells a commercial Van which is actually a rebadged Renault Kangoo. Marketing gurus certainly had a lot of work on their hands to make it all happen. The 2015 Mercedes-Benz S-Class Coupe is the ultimate when it comes to technology right now. True, Tesla has a few neat tricks under its belt, BMW, Bentley and Lexus as well, but the matter of a fact is that Mercedes-Benz was so focused on the improving driving characteristics while at the same time keeping top-notch luxury that the S-class Coupe probably has the most complex and advanced suspension system in the world. 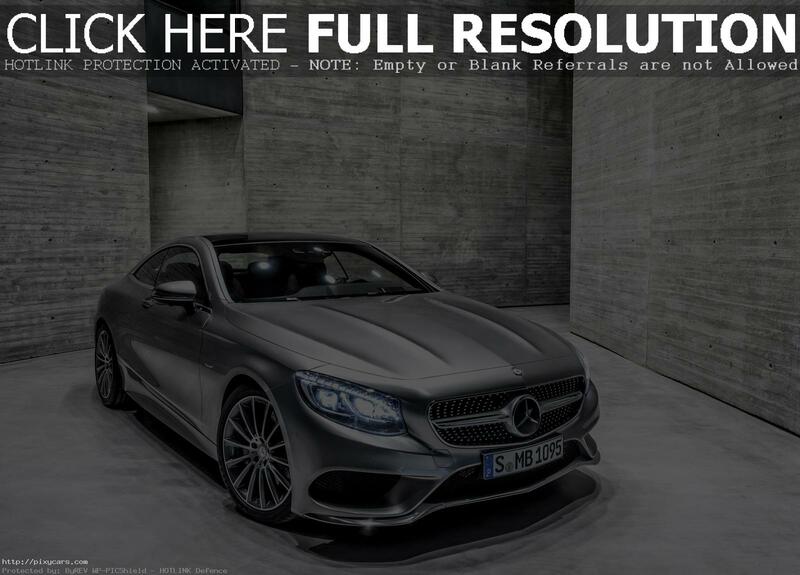 Regardless of the specified version – the S400, the S500/550 or the top-notch AMG versions such as the AMG S63 Coupe, or the AMG S65 Coupe, the S-class coupe comes equipped with mind boggling features for suspension control. With Airmatic technology, the driver has control of the stiffness, clearance, its dynamic characteristics and the driver even can make it so squishy it transforms the S-class Coupe from sports looking grand tourer to an ultimate luxurious cruiser. And let’s face it. More people will drive this thing all day long all over Autobahns, not on the back roads. The technology behind it is quite astonishing. It is large and heavy, no question there, but Mercedes-Benz and Mercedes-AMG worked their magic to make it far more capable than its footprint would suggest. Its architecture makes use of carbon fiber, aluminum, and steel. Entwined to create a perfectly cocooned cell around the cabin space, the whole architecture protects the passengers far more efficiently than that of any other car. All this high—tech safety stuff is hidden beneath a wonderfully simple, yet elegant front console, adorned with LCD display behind the steering wheel. As in “normal“S-class, the display is separated from the one on the central console which is used by the passenger or the driver to configure all the infotainment features in the car. Clearly, this is as computerized as it gets thanks to all the gizmos integrated into it. And yes, it is expensive – a lot. But then again – it has to compete with Bentley and Aston Martin.